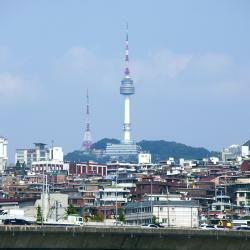 Looking for hotels in Jongno-Gu? 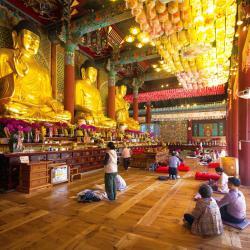 Grid Inn Hotel is located in Seoul, 1969 feet from Jongmyo Shrine. Guests can enjoy the on-site restaurant. Free WiFi is available throughout the entire property. Friendly staff and a warm reception in the freezing morning in Seoul. 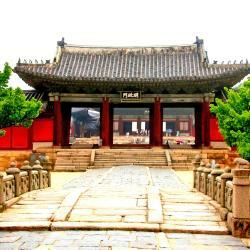 Featuring a garden, Mini Hotel Insa is located in Seoul, an 11-minute walk from Jogyesa Temple. Location is perfect. The unit space was neat. Friendly front desk. Located in Seoul, a 6-minute walk from Jongmyo Shrine, Makers Hotel has rooms with air conditioning and free WiFi. Location next to the subway station was ideal. Staff was super friendly and helpful. Very welcoming. Staff spoke perfect English. Very personable and fun to talk to. Really,really happy about our decision to stay at Makers. Just steps from Gwanghwamun Plaza, Four Seasons Hotel Seoul features commanding city views and features 4 in-house dining, a state-of-the art fitness facilities and traditional Korean saunas. The best you can get from a hotel. Large rooms. Great SPA. Featuring spacious rooms with neutral colors and free WiFi access, Sunbee Hotel is located just a 5-minute walk from Jonggak Subway Station (Line 1). 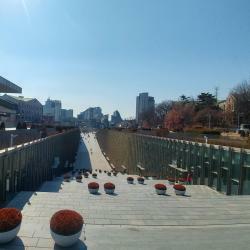 This is the hotel you go to when you want to be close to Insadong and easily be able to walk to any of the palaces or Myeondong shopping area. Would definitely stay here again. The areas is quiet and safe and there are many places to eat nearby. Its within walking distance to a lot of things so that was very nice. There are many convenience stores nearby should you need to grab snacks or small meals. Our room was upgraded when we checked in with the very polite and professional staff. Any small requests we had they were able to accommodate us. You are also given water bottles in the fridge which is replenished which is always a nice amenity to have. There are bath robes and slippers which is common in Asia but always makes the stay more comfortable. There is also a national souvenir shop with some very nice things if you want to bring back gifts for the family or friends. Overall, it may be tricky to find as it is behind the Centermark Hotel so not obvious as to where it is. But this was really a great value deal for us as many other hotels were more expensive and less convenient in terms of location. 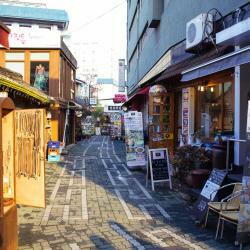 Featuring a garden, Tong Tong Petit Hotel offers accommodations in Seoul, a 2-minute walk from Jongmyo Shrine. 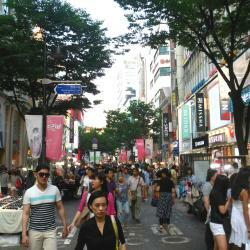 The property is close to Gwangjang Market, Bangsan Market and Dongdaemun Market. Everything was great!!!! especially the staffs, I asked them to receive my very important letters for many times, they were very kind keeping my letters all the way until I checked in and answered my messages very fast. Overlooking the charming Cheonggyecheon Stream, Hotel Venue-G is located on the south-eastern corner of Supyo Bridge. Big hotel with a coffee shop at lobby. Room was comfortable and clean. Finally bath tub had a shower curtain. Staff was polite. Location of the hotel is perfect for shoppers. There are two subway stations nearby as well. ibis Ambassador Insadong is conveniently located a 4-minute walk from Jongno 3-ga Subway Station (Line 1, 3 and 5). It houses a relaxation area with a sauna and a public bath. The hotel is clean and the staff are very helpful. Modern Korean design is featured in Hotel Aventree Jongno, just 5 minutes' walk from Insadong cultural street. The room was clean and the staff was very friendly. Located within a 10-minute walk to Insadong and Myeongdong, Centermark Hotel offers fully-furnished rooms with free WiFi. A fitness center and meeting rooms are also available. Clean room and cheap. Although, its more like 3.5 stars hotel but definitely not a 4 star hotel. Located in Seoul, an 11-minute walk from Jongmyo Shrine, Hotel Kuretakeso Insadong has a fitness center and rooms with free WiFi access. 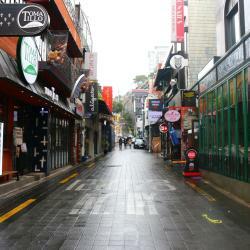 Great location just in the centre of Insadong. 5 minutes walk from the train station. Featuring free WiFi, Rian Hootel is located just a 3-minute walk from Exit 15 of Jongno 3-ga Subway Station (Lines 1 and 3). Location, near to most major sites, metres away from the Metro station. Located in the center of Dongdaemun, Seoul's renowned retail district, JW Marriott Dongdaemun Square Seoul Hotel is just steps from Exit 8 and 9 of Dongdaemun Subway Station (Line 1 and 4). This hotel has become our "regular" place in Seoul for good reason! A 2-minute walk from Jongno 3-Ga Station (Subway line 1 and 3), GS Hotel Jongno offers modern yet cozy rooms with free Wi-Fi. It serves breakfast daily and has a 24-hour reception. I like that they have floor heating and heated bidet in the bathroom..
IBC Hotel Dongdaemun is located within a 5-minute walk from Dongmyo (Line 1 and 6) and Sinseoldong (Line 1 and 2) subway stations. It features rooms with elegant taste, a bar, shops and fitness... Very comfortable place to stay in. Worth it for the price. 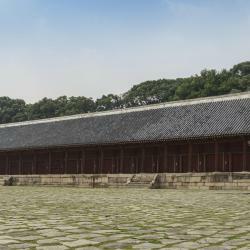 Hotel Zero Seoul is located a 10-minute walk from Jongno 5-ga Subway Station (Line 1), along the beautiful outer wall of Jongmyo Shrine. The hotel is in the middle of some tourist spots but you are not on the way to their entrance. Featuring a rooftop garden overlooking the royal Changgyeonggung Palace, Mayplace Seoul Dongdaemun is a business hotel offering an on-site restaurant and a conference center. we never woke early enough for breakfast, but, the location was optimal.